President Moon Jae In�immediately recognized certain members of BTS at the 'Korea-France Friendship Concert'. 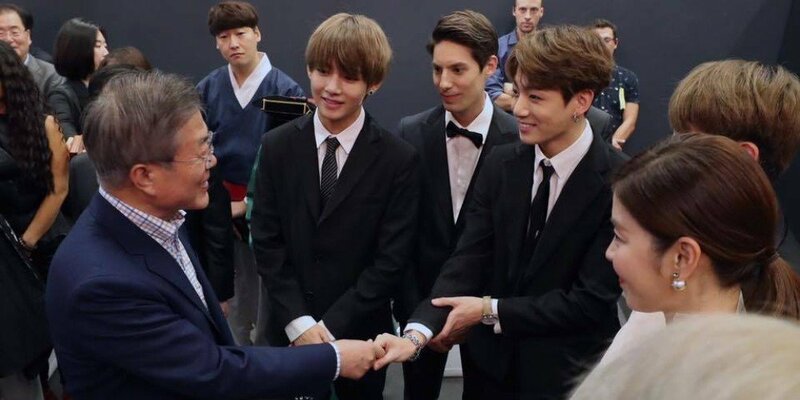 After shaking hands with Jungkook, President�Moon stated, "I saw you on 'Give Me a Meal'," and added, "Jungkook and Jin." President Moon also acknowledged RM, stating, "Our leader RM."